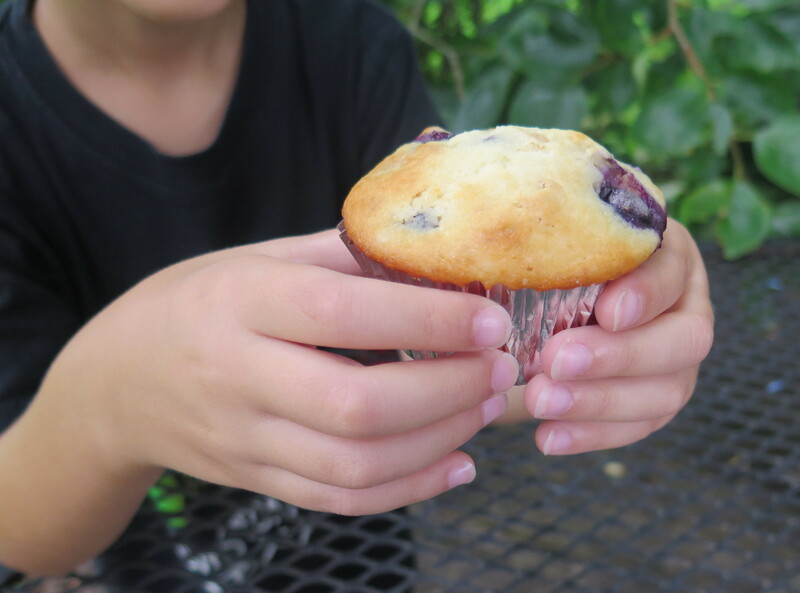 When my five-year-old grandson came from Texas to visit and asked if he could help make the muffins, of course I was delighted. Another cook in the family!. 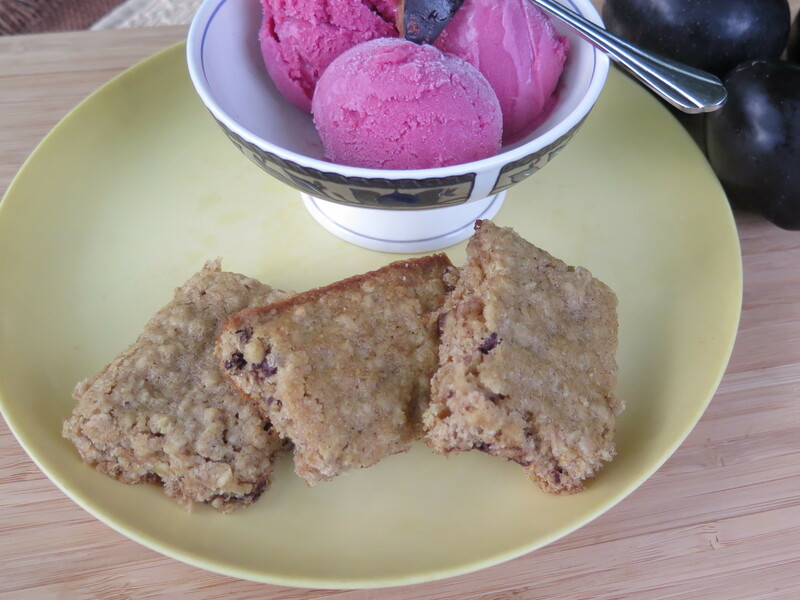 Muffins are kid friendly; you just need a couple of bowls and a spatula. 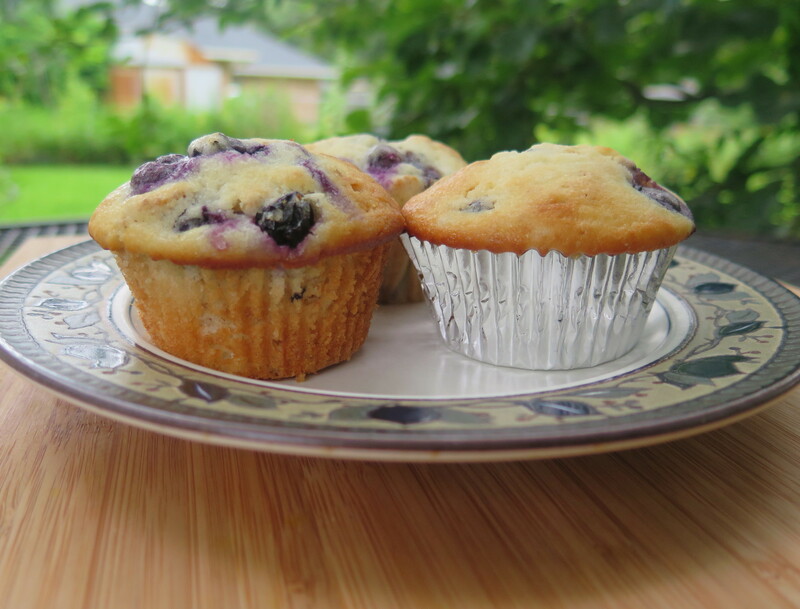 I had blueberries from our garden; supplemented with some from the store and was making blueberry muffins with bran flakes added in.